The game of chess has been around since the sixth century and has made a name for itself as one of the most well-known strategy games of all time. Like any strategy game, it has its casual players, and it has its masters. This year, MN’s Division I Chess Team is one step closer to mastery, being named Nebraska’s State Champions. 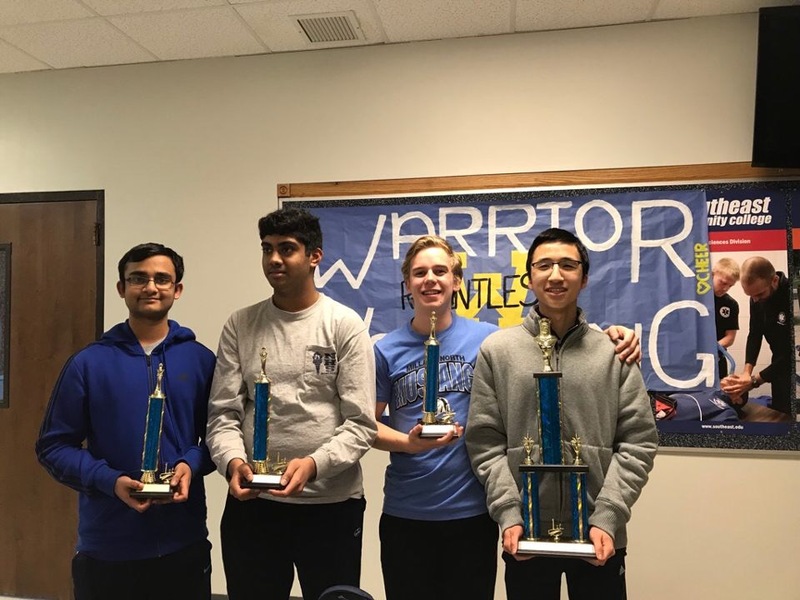 On March 3, the Division I team, consisting of senior Kasper Hoermann, and juniors Khoa Nguyen, Srikar Yallala, and Kailash Kalyanasundaram, traveled to Wahoo, Nebraska for the chance to compete in the state chess tournament. The tournament consisted of five rounds, and saw a narrow victory for MN by half a point. “It was kind of stressful because it was really close. If the other team won this game or that game, then they could’ve won the tournament,” Nguyen said. 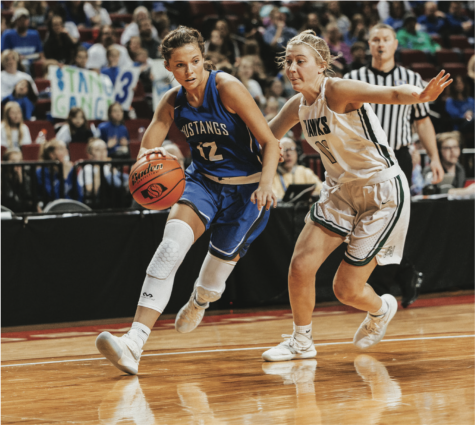 High schools from all around the metro area and outside of it competed at the state tournament, including Omaha Central, Battle Creek, Wahoo Skutt Catholic, and Creighton Prep for a total of 19 competitors. “It was really hard. There’s other schools that have really smart kids, so it required us to be a team,” Yallala said. At the state tournament, Nguyen placed first overall, earning a perfect score of 5 out of his 5 rounds at the tournament. Nguyen has been on the District I team for the past two years, transferring from Creighton Prep his sophomore year. 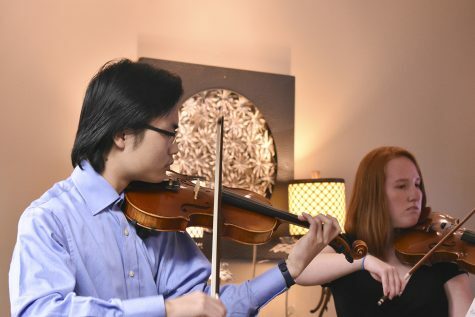 “It’s a mental break from school; I’m not a sports person, so it’s kind of like a brain sport,” Nguyen said. The team’s sponsor, Jim Stromberg has been teaching at the school for 10 years and has been the Chess Club sponsor for 3. He works with the District I and II teams, playing games, learning from their mistakes, and training them to always stay three steps ahead of their opponent. “[The] kids play each other online during the week and also practice the tactics. They also make notations so you can replay and analyze your mistakes and improve your game after you have played an opponent at a tournament,” Stromberg said. A chess tournament tends to take place over the course of (blank) hours, matching up opponents from different schools by skill set. Whoever wins the match takes a point for the round, and whoever loses gets none. “Chess games can last an hour and a half or longer, so if you finish early you’re waiting for a long time, but it’s kind of fun if you’re with people you enjoy hanging out with,” Nguyen said. With each new school year sees the sending off of last year’s seniors and the arrival of new competitors to take their place. Ever-changing, the team gains new strengths and faces new challenges. “Last year’s division one state championship team was a very senior led team. This years team had no seniors but was led by juniors,” Stromberg said. As the year winds to a close, the Division I team competes in their final tournaments and takes on the challenge of finishing off the 2018 school year. In a game that takes a lifetime to master, the team is that much closer with a state championship title under their belts.